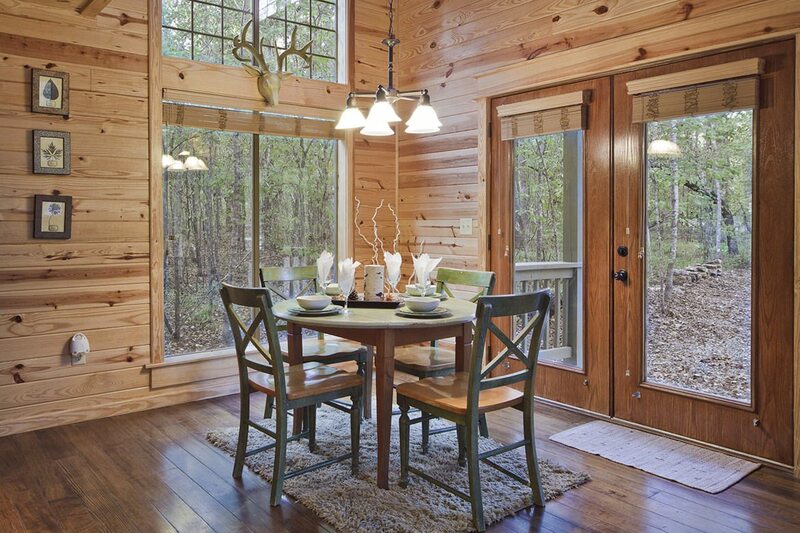 August Creek is located in the soaring hardwoods of Timber Creek Trails, tucked into a wooded hillside. August Creek is a short walk to Chi Holla Li Creek and has direct access to walking and hiking in the Timber Creek Trails area. 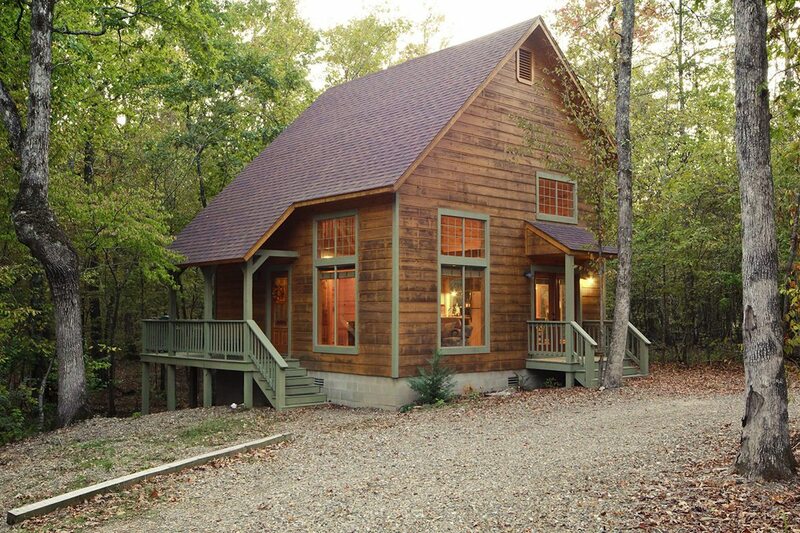 This Broken Bow cabin is located only minutes away from Broken Bow Lake and Beavers Bend Resort Park. Also a few minutes drive to Shuck Me, Mountain Fork Brewery, Okie Girl Coffee and Ice Cream and many other boutiques. 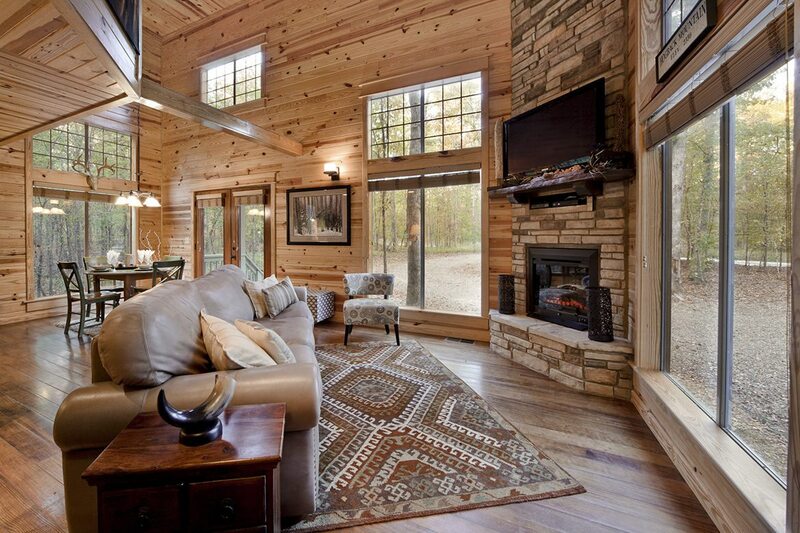 August Creek has vaulted ceiling with lots of windows to bring the outside in while you cozy up to the rock fireplace on modern rustic furniture. 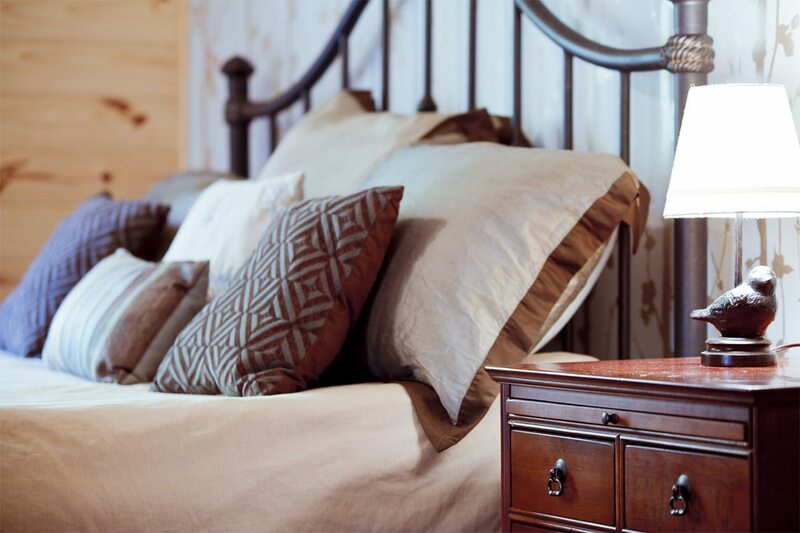 August Creek has all top of the line amenities including two flat panel TV’s with satellite, DVD player, washer and dryer, and a fully furnished kitchen with stainless steel appliances. August Creek’s unique design has a one bedroom retreat upstairs with a king size bed and bathroom including a Jacuzzi tub. 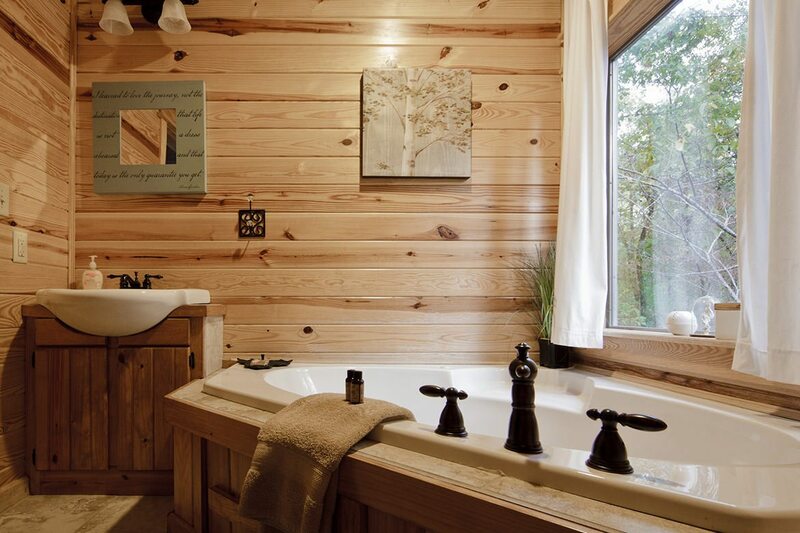 A large picture window above the Jacuzzi showcases the treetops of the wooded forest behind the cabin. 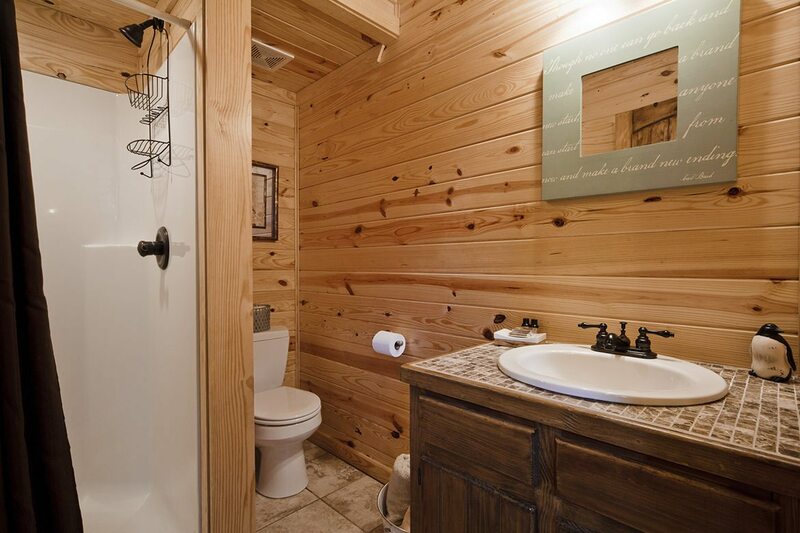 Downstairs is a sleeper sofa and another full bath with shower. 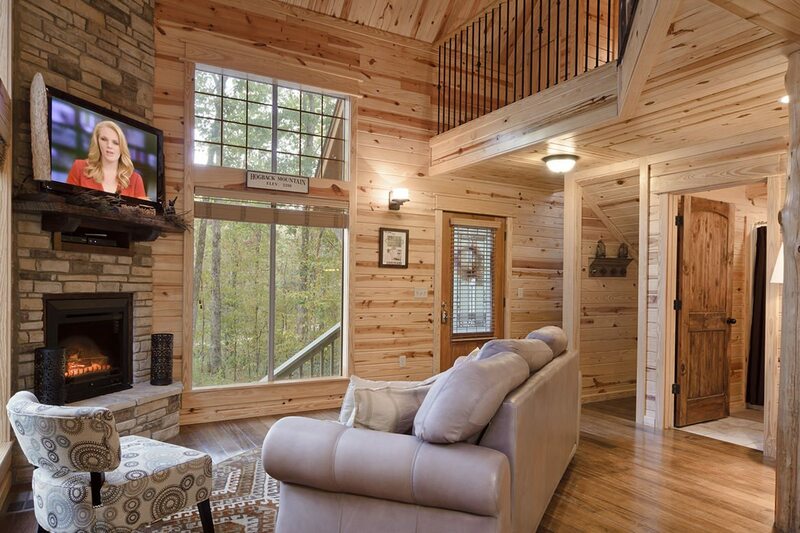 This arrangement makes the cabin perfect for a couple or a couple with children. 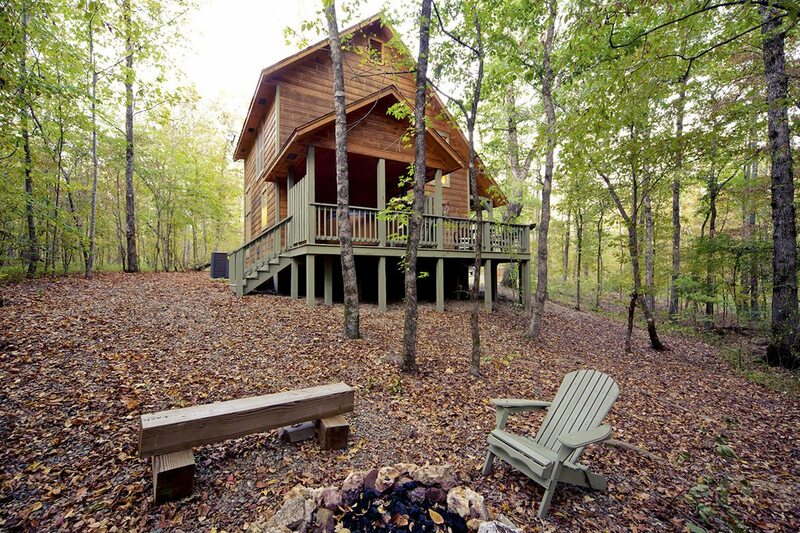 Step out onto the wrap around deck, where you’ll find your own private haven nestled into the forest surrounding the cabin. 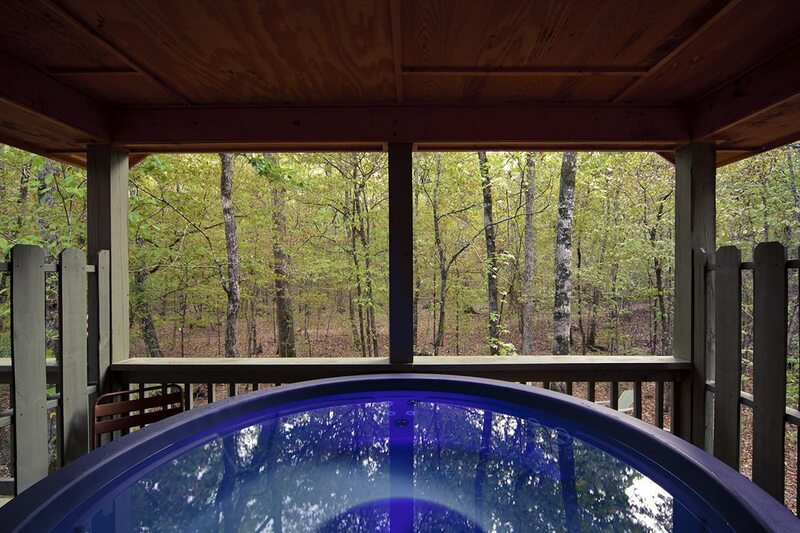 On the deck, you can relax in the hot tub that seats up to five, have a glass of wine or read your favorite book while surrounded by the beautiful scenic outdoors. Just below the deck is a fire pit where you’ll snuggle up next to the fire or roast marshmallows with your friends and family. 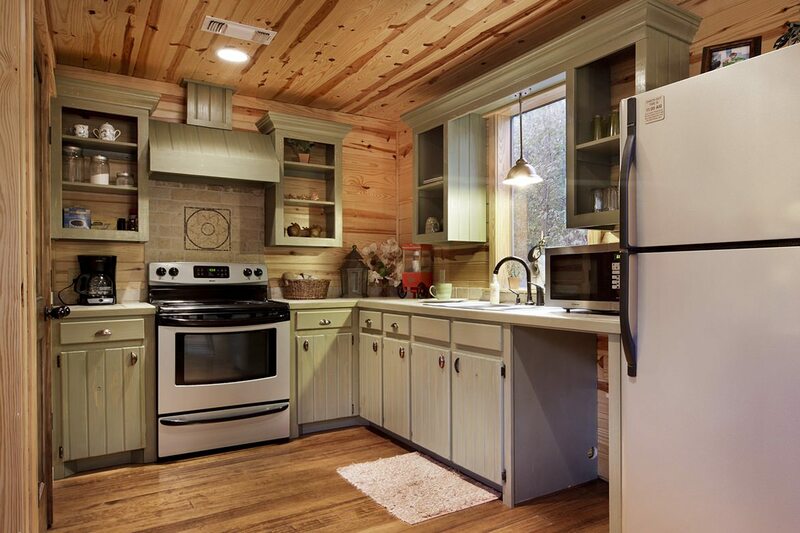 If you choose to forgo the kitchen and grill in the great outdoors, this cabin is equipped with a gas and charcoal grill.